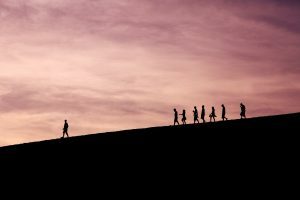 Home » life » What Does It Take to Be a Successful Leader? Throughout history, we have been led by leaders appointed to guide us to success. From George Washington to Julius Caesar, those who lead have carved out the world we know today. Leadership, although not necessarily all the time, is not something simply given; it is earned. You have to work hard to be able to stand out, be relatable, be reliable, and be able to put everyone on your shoulders. That’s a lot to take in and most people can’t handle the pressure. Think you got what it takes to lead? Today, we are going over the qualities of a good leader. Anyone can be a leader but a good leader is a different story. Qualities of a good leader are selflessness, due to the fact that in most situations the leader is elected to represent the people. If a leader is not able to relate to their people how are they suppose to understand what goes into making the people happy? Empathy is a key component to develop a leader, and his people help create a strong bond. Unfortunately, most leaders follow a dictatorial style and neglect this important characteristic. Leaders also need to be able to communicate plans and actions. Since it is their responsibility, a leader needs to be clear about a plan; otherwise, the whole pyramid can crumble. Another good quality of a leader is confidence. When you’re able to confidently give commands, others will follow them more easily. If you are unsure of your capabilities and have doubt in yourself, your subordinates can see it and will most likely not follow commands. Being honest with those around you and having integrity is a key component for building that trust between yourself and those under you. You should be an inspiration to others, making them want to follow in your footsteps and do what you do. When it gets tough, those around you will look for inspiration that will get them through the toughest situation. Let that inspiration be you. As a leader, you should be able to make the right decisions. People will be coming to you with problems that they hope that you can solve. It will be important that you can use your wisdom and judgment of a situation in order to make the best decision. As a leader, you don’t have to do it all by yourself. Delegate to those who can help you complete the most troublesome task. Find your closest companions; those who you can trust to handle important tasks. For those who you cannot trust with big, important tasks, give them smaller tasks. Being able to show your subordinates you trust them will help build morale and productivity. I hope these tips can help you become a great leader!